I was at the Renaissance hotel in Powai, as we were hosting an INK Salon at FICCI FRAMES conference. 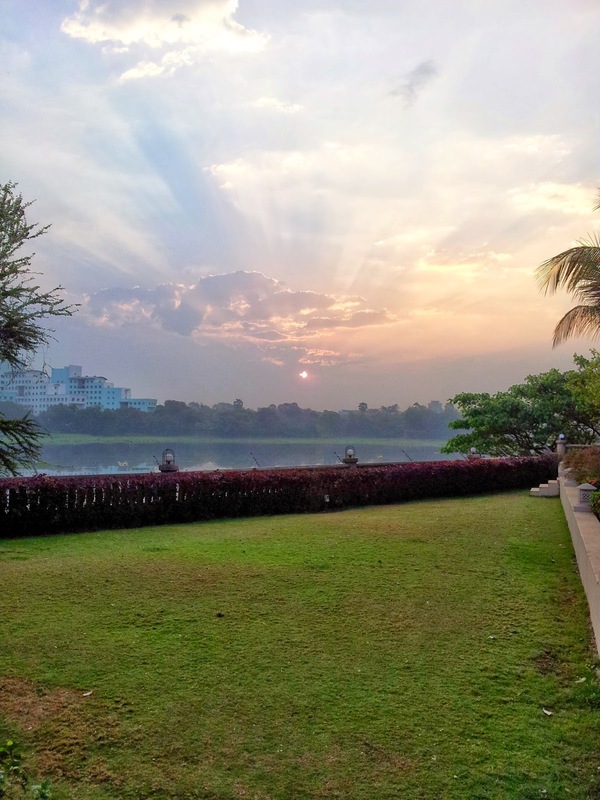 When I walked out in the early hours to go for a jog, I saw the sun rise over the Powai lake and saw the IIT campus at a distance. Nostalgia took over me and I decided to go to the campus for a walk. I took an auto and arrived at the main gate of IIT Mumbai. As I did not have an alumni card, I had to wake up a friend of mine who was faculty, to talk to the security to let me in. It felt wonderful to be in the campus. I walked past the new H10, home to many more girls than the old H10 that I once occupied and that had now been demolished. I jogged to the stadium grounds, ran about 4 laps and continued jogging on the main road till the end of the campus where the dorm built by Nandan Nilekani stands. As I was jogging back, I remembered that my nephew, Varun, was in the Masters program, on a deputation from Indian Navy. I called him and he came over to the campus to meet me. 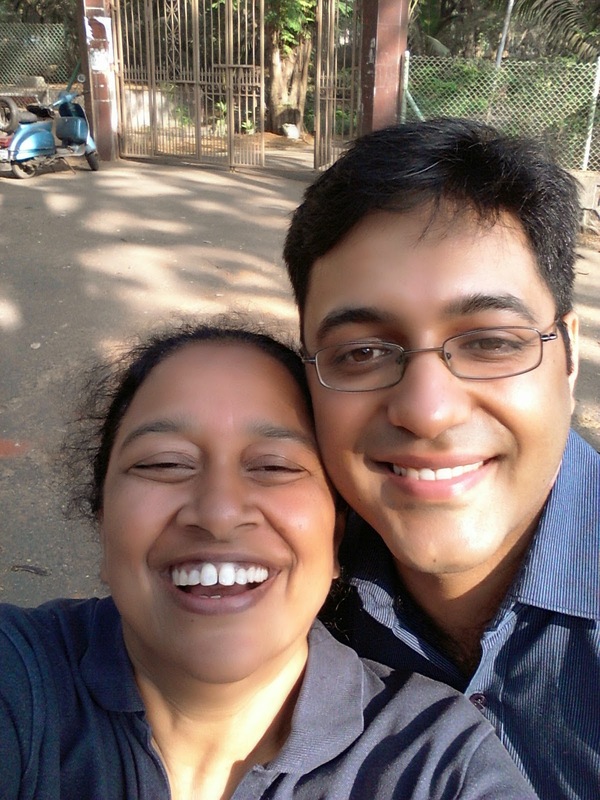 We walked to the other end of the campus and he took me to the Padmavathi temple in Powai. He told me that this was a centuries old temple. I could not believe it. 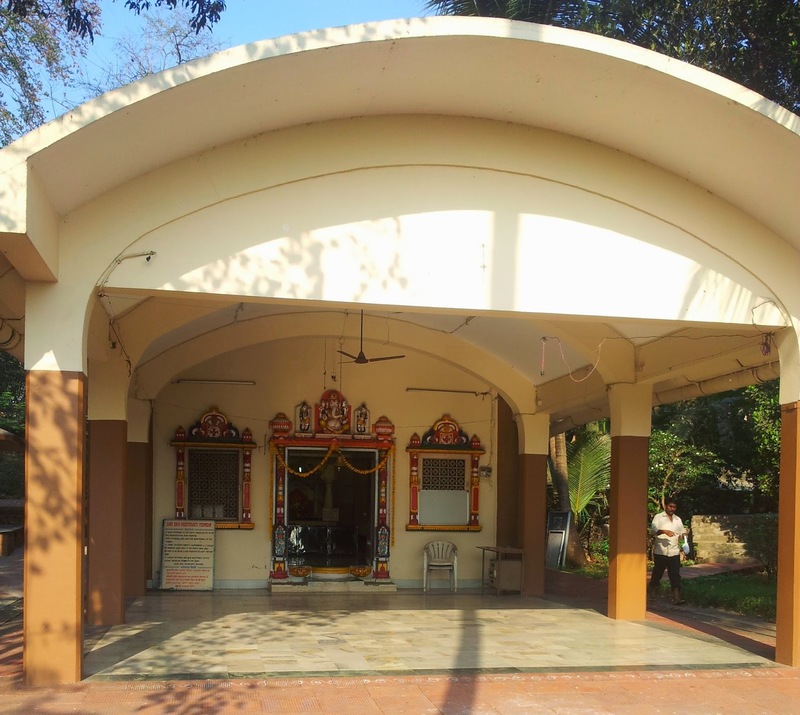 With a waterfront view and tall trees, the temple compound was serene and beautiful. I can see how this place is meant for quiet meditation. I was on this campus for over a year (many moons ago, I admit) and thought that I walked every corner of the campus. But, I did not know the existence of this temple. I loved this role reversal where my nephew was teaching me about a place that I thought that I knew well. I am all prepared for the future, where my teachers are perhaps not even born. And those that are born are at least half my age and definitely twice as smart.